This article we'll introduce the best way to help you repair and recover corrupted Excel files from computer hard drive. How do I repair a corrupted Excel file? Excel is an excellent software application that is used all over the world for the purpose of storing, organizing and manipulating data. Used for both individual and business purposes, Excel files come in two extensions, XLS and XLSX. But the Excel file will get damaged or corrupted on the computer. it will get lost or accidentally deleted while the computer get crashed. On this page we will offer the best solution to help you repair corrutped Excel file and recover corrupted Excel file from computer easily and effectively. All files in a computer system are vulnerable to damage and infection and Excel files are no different. There are various scenarios that can lead to the corruption of an excel file. Corrupted excel files can become a problem as you won’t be able to open them and risk losing all the data that you had saved in them. In such an event, you will need to repair Excel XLS/XLSX files. The following are some instances that necessitate the repair of an excel file. System shutdown is a crucial time for the computer. If the system is properly shut down nothing bad happens. However, in case of a sudden system shutdown, things can go haywire. Any MS Excel files open at that moment can get corrupted as they won’t be closed off by the system in the proper manner. Viruses or bugs are common enemies of a computer system. If you aren’t using a good anti-virus program, chances are that your computer is infected with one of them. These viruses and bugs can easily damage an excel file requiring you to repair corrupt excel file. Corruption of the excel files can also result from data storage device issues as well. Hard drives are prone to bad sector generation. Excel files stored on these bad sectors have a high chance of getting infected. Like any other software application, MS Excel too is prone to malfunctions. Improper or sudden closing of open excel files can result in their corruption. Upon the discovery of an infected workbook on its opening, the File Recovery mode is immediately launched by Microsoft Excel to attempt the workbook repair. You can use this method to manually repair corrupt excel file if the File Recovery mode fails to do its job. 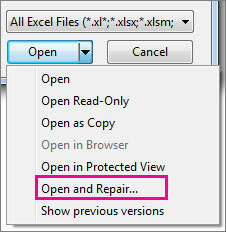 Go to the open button with the arrow next and select "Open and Repair"
Choose the Repair option to recover the data from the corrupted excel file. If file repair isn’t possible through the Repair option then choose Extract Data for extracting information and data from the excel file. If manual and automatic methods for repairing the excel files both fail then the only way to recover your data is to make use of an excel repair tool. There are a number of excel file repair software available on the internet that claim to repair corrupted excel files easily. However, none of them are reliable and most of them don’t even work. 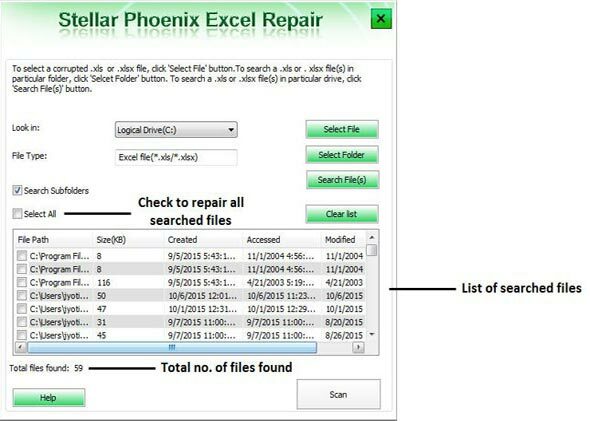 The Stellar Phoenix Excel Repair is a well-rounded solution that can help repair Excel XLS/XLSX files in the most comprehensive manner possible. It can easily to help you repair corrupted Excel files and recover Excel files back. Simple and easy repair and recovery of corrupt excel files. Helpful search tools for easy finding and selection of corrupted excel files. Capability to restore the corrupted excel file in its original form with all of its properties intact. Real-time preview of repaired excel files to know how much data has been recovered. Capability to resolve any issue that might be infecting the excel file. Compatibility and support available for both Windows and Mac. An Intuitive Interface that is easy to navigate for everyone. 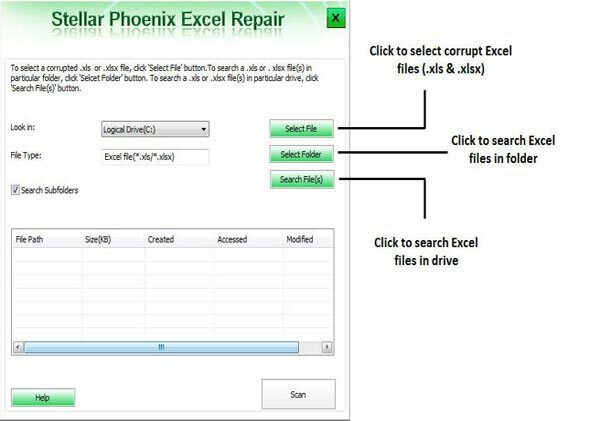 Excel Repair software can easily repair corrupt excel files through its Excel Repair feature. 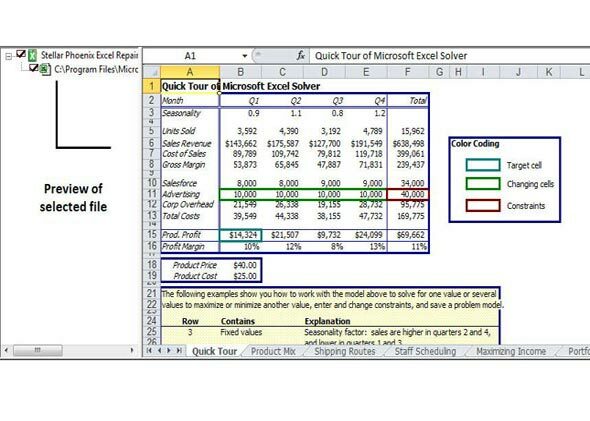 The following is a step-by-step tutorial that can help you in learning how to use this excel repair tool for repairing damaged excel files. Step 1Add File: Before repairing the corrupted Excel files, you will need to add them to the Excel Repair software. You can do this by clicking the’ Add File’ option located in the ‘File’ menu. Step 2Search File: Files that are to be added will need to be searched on the system. Click on the ‘Select File’ option and in the ‘Open’ dialog box that appears, search for the file that is to be repaired and click ‘Scan’. 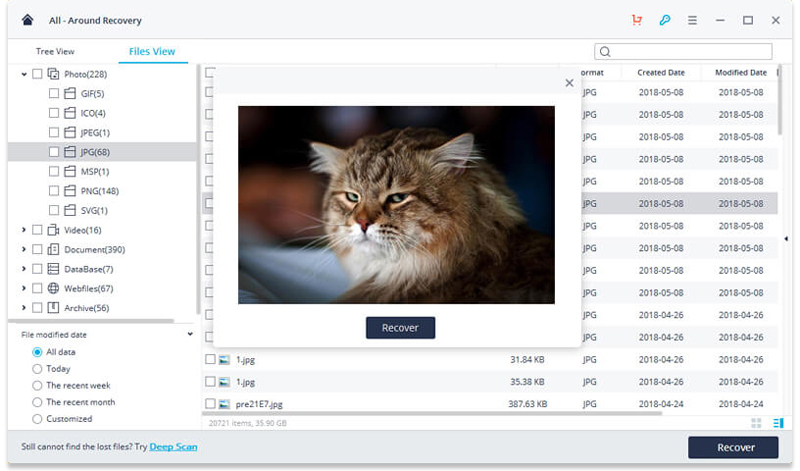 Step 3 Preview: After the corrupted files have been scanned and repaired, you can preview them to see if they are restored to their original condition. 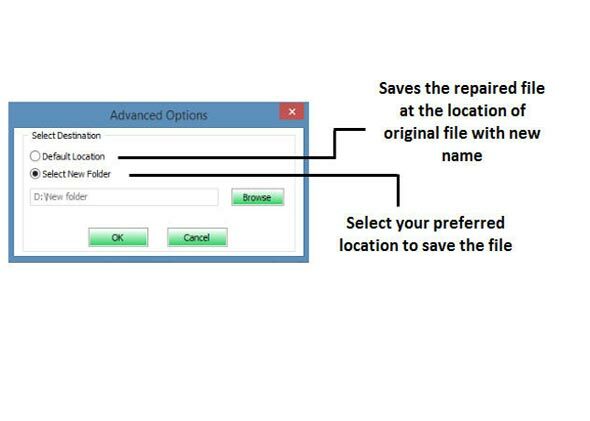 Step 4Choose Saving Location: All files that are repaired need to be saved in a designated location. 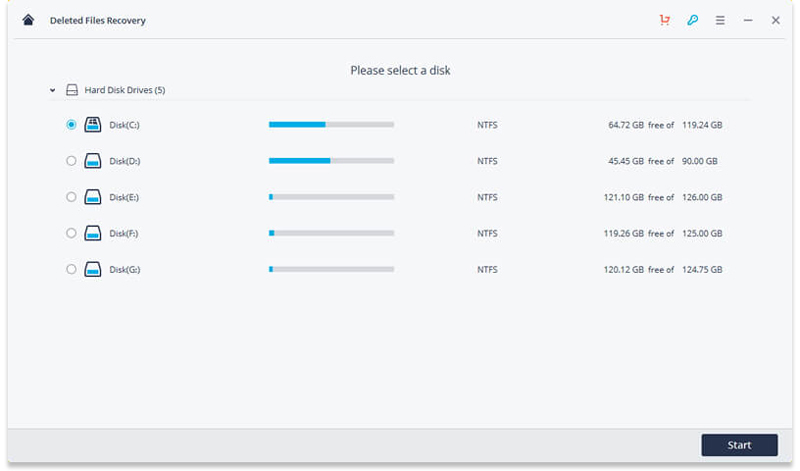 Choose it by clicking the ‘Save’ option located in the ‘File’ menu. Now, choose either the ‘Select New Folder’ or ‘Default Location’ in the ‘Advanced Option’ dialog box that appears and then click ‘OK’. Recoverit Data Recovery is the most powerful Excel file recovery program. It can help you recover corrupted Excel files from computer hard drive, it supports to recover office files from computer in easily and effectively. Recover and repair corrupted Excel files from computer effectively, safely and completely. Recover Excel file due to accidental deletion or lost, formatted hard disk drive and virus attacked. 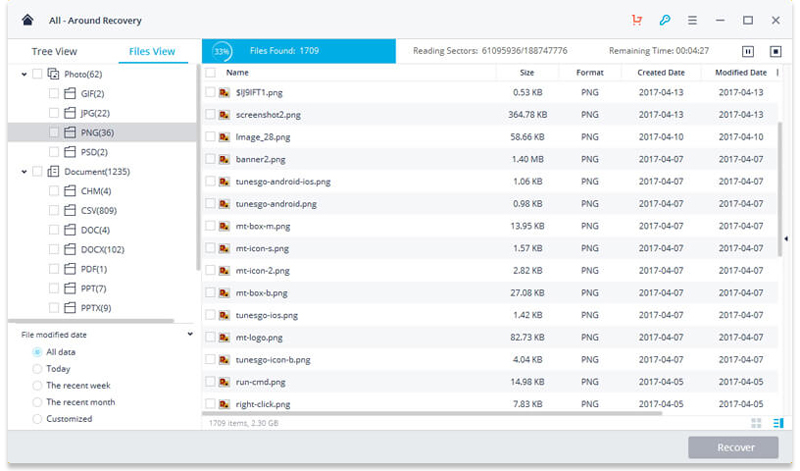 Recover office document files from computer with high success rate and without any quality loss. 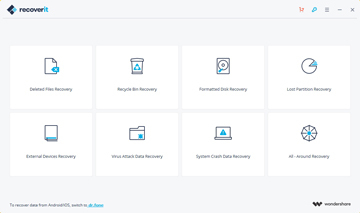 Download and install Recoverit Data Recovery on your computer. Follow the next guide to perfomr Excel file recovery on Windows computer, if you are working on Mac, you can download Recoverit Data Recovery for Mac and follow the similar steps. Step 1. 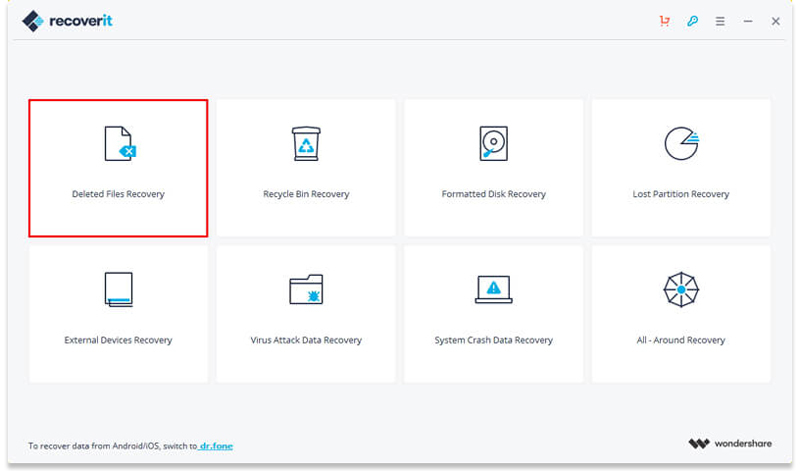 Select a Data Reovery Mode Launch Recoverit Data Recovery, to recover Excel file, you need select "Deleted Files Recovery" mode to get started. Step 2. Select a Location Select the location where your Excel files get lost or deleted. Select it and click "Start" button to process. Step 3. Scanning the Hard Disk Recoverit Excel File Recovery will start to scanning the computer hard drive, after the scan, if you cannot find you Excel files, you can scan again with "All-Around Recovery" which will deeply scan and search more files from the hard disk. Step 4. Preview and Recover Excel File After the scan, you can check all recovered Excel files. Preview some recovered photos, select your Excel files and click "Recover" buton to get the files back. There are preventive measures available that can be used for avoiding instances of excel file corruption. For instance, frequent creation of recovery files, choosing the automatic option for saving backup copies of excel files, taking care when shutting down the system, regular monitoring of the hard drives, using updated anti-virus can help you in keeping your excel files safe from corruption and learning how to recover deleted word documents or excel documnts in advance. However, if your excel files do get corrupted and can’t be recovered using conventional methods then these tips for excel file repair can be of use to you. Try saving the excel file in the HTML format. Try opening the excel file in MS Word. Try opening the excel file in MS Excel Viewer. Make use of External Link Formulas in a separate Worksheet.